IHeart Organizing: IHeart Giveaway: CSN Stores! 317 IHeart Giveaway: CSN Stores! CSN Stores has over 200 online stores where you can find anything you need whether it be wall art and decor, fitness equipment, or even cute cookware! Seriously, they have anything you can imagine for the home, I personally head straight to their storage options, since I am an organizing obsessed gal, but I can't help but get distracted by their choices of decor, rugs and cookware as well!! Here are a couple of things that had me oohing and awing! I would be much more proud to serve my lasagna if it was cooked in something uber fab! I have been eying up these rugs for what seems like an eternity! IHeart the pattern so! 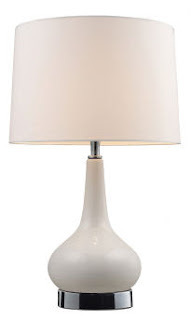 And where is one of the first places I check out online when searching for table lamps? CSN, because they have an endless selection! Have kids or pets? They have goodies for them also! Like these Molly Mutt pet bed covers! My Bentley adores his as much as I do! Aren't they divine? 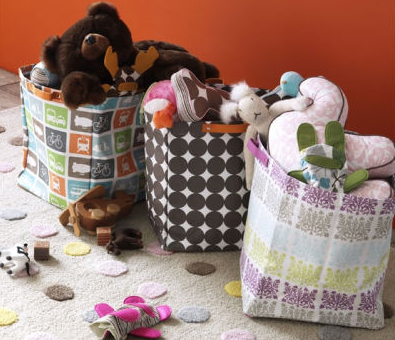 For those kiddos, some kids friendly storage bins make my heart skip a happy beat! Love to cook? Or craft? Or just need storage for itty bitty items? These spice tins could do it all! I could go on, but I will let you hop over to CSN stores and see for yourself how easy it is to find something for anyone! See something you adore? Well, CSN is partnering with me to offer you a giveaway! Wahoo! $35 smackaroos to be used in any of their online shops! 1} Anyone in the US and Canada are eligible to enter. Only one entry per person, duplicate entries will be disqualified. 3} Leave a comment on the giveaway post stating "IHeart CSN." and for fun, tell me what you would indulge in if you win! Giveaway is open from Tuesday, 2/1 through 9 p.m. central time Sunday, 2/3. One winner will be selected using random.org. I just discovered CSN recently. I would love to win this! I am in need of some light fixtures. Getting rid of the ugly brass in our house. IHeart CSN! I have been looking for a new area rug! IHeart CSN and would love some organizing bins. Thanks for the chance to win! IheartCSN! I wuld defiitely go for some organization for my sewing stuff! I also would splurge on an area rug! Something for my kitchen I am trying to update some of the hand me downs I have been given. IHeart CSN! I'd look into some things for our baby room. IHeart CSN!!! 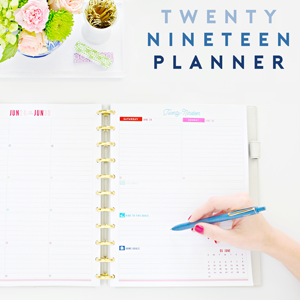 I have been eyeing those tin cans ever since I stumbled upon your blog. I would love to use them in my cabinet for my spices. IHeart CSN! I need some new storage solutions for my brand new Chicago apartment! IHeart CSN. I would probably look for something for one of my cats!! IHeart CSN! I could use a new lamp OR maybe those spice tins! IHeart CSN! I would totally buy some of those cool lamps! I've been looking for a pair for a while! Love them! IHeart CSN I would look for something to help organize my clothes closet! IHeart CSN! 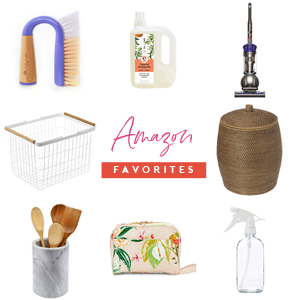 I could use an excuse to get an item or two to spruce up my home! Iheart CSN! I would finally indulge in a stand mixer like I have been wanting for a few years now! I would probably buy some pretty kitchen storage. IHeart CSN! I could really use the storage bins for the toys that seem to multiply overnight! I HEART CSN!! Oh the choices...so many things I could use. I'm going to go with storage! My craft room is a dis-as-ter right now. IHeart CSN! I would love any of the Rachael Ray Bubble and Brown Bakeware Pans! IHeart CSN! I'd like some matching hampers for my laundry room. IheartCSN! I need new throw pillows for my couch. IHeart CSN! I have no idea what I'd like to get but I'm moving in a few months so definitely something for the new house! IHeart CSN...I need a lot of things for the master bedroom re-do! I heart CSN! I would love to have some new storage bins as I am really trying to get my home organized! IHeart CSN! We're still trying to finish up the nursery, so I'd look for window treatments, a small side table, or maybe an amazing rug! IHeart CSN! Hard decision...there are so many neat things. My dog would really love a new bed but I noticed a cute accessories set (by Emma Silvestris) which would help in my quest to get organized. What a great giveaway! I'm in the market for some new table lamps, so this would be perfect! IHeart CSN. I don't know what I want! Something cool/functional in the cookware realm or maybe something nifty for storage and organization. I need some wall decor! My bedroom walls are stark! Maybe some art and shelves is what I need... Thanks for the chance to win! IHeart CSN! I would love that rug. I'm in the market for one. IHeart CSN! Definitely some wall art for my bare walls! IHeart CSN! That baking dish is calling my name! IHeart CSN! I recently purchased flatware from them ... wonderful customer service! All ready with my order!! I'd love to get (2) Laura Ashley Lighting - SFD - Classic Drum Shades in Butter Yellow for my living room!! IHeart CSN too! So fun to check your blog today and see all the things you love from them. I too adore the rug--the pattern is FABULOUS and would make my living room grin from wall to wall! iheart CSN! I would probably get a new lamp! IHeart CSN! I really need a new area rug for my family room! IHeart CSN! I would get some new lamps for our bedroom. I really want a huge mirror to hang on the wall. But now I also love that lasagna pan. Iheart CSN! I need a new rug! Definitely need some desk accessories - gotta get my hubby off the end-table and into a desk! IHeart CSN! I need a new lamp! I love that lamp you posted! I think I might "need" it! I'd love to start getting some beautiful things for our Master Bedroom Re-Do! We've been searching for a new coffee table and finally found one we both agree on on CSN. 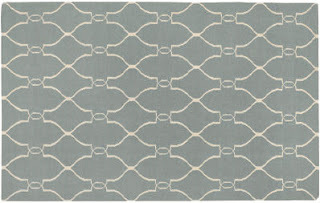 I absolutely love their rugs and we desperately need one for our living room! IHeart CSN! And I definitely need some cute organization for my office! 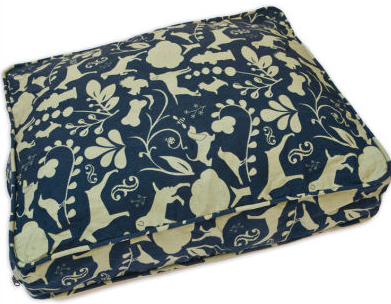 I think I would invest in some fun throw pillows... you can never have too many! The spice tins. Definitely. We are remodel-removing some truly view-blocking cabinets and I have to condense a big chunk of my already tiny kitchen... I have the magnetic board up inside the cabinet door... now I just need the containers. I am in dire need of an area rug for my living room. IHeart CSN!! 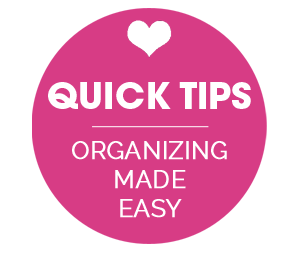 Thank you for all your organizing tips. My paper/life is so much better in just one month. I would probably pick up some of those cute lil spice containers for office organization. IHeart CSN! That pet bed looks perfect for our deaf wonderBulldog Maisie...she just graduated out of crate training and is ready for a big girl bed! IHeart CSN! I have no idea what I'd get. I have a running wishlist of stuff from there but probably focus on something for new bathroom remodel. IHeart CSN....I would love to win this so I can cover my dreaded carpet stains with an area rug. Kelli kcoub at allstate dot com. IHeart CSN. Im not sure what I would buy but it looks like the options are endless! iHeart CSN. We are trying to redecorate the family room--I need LOADS of help and ideas. IHeart CSN! My family is currently in the process of purchasing a vacation home down the shore so I'm sure I could use this to work on stocking supplies in the kitchen! IHeart CSN! I think I would go for some of the Honey Can Do Sweater Boxes for my master bedroom closet OR some decorative metal wall art to hang above my front door. Thanks for the opportunity! IHeart CSN! I would splurge on some new curtains for my living room! IHeart CSN!! I would have problems narrowing down but could go for a cute new lamp for my living room. Thanks! I would be getting an area rug or lamps! IHeart CSN! If I win, I would put it towards some type of organizational bins or containers. IHeart CSN! I'm in need of some organizing/storage items!! I would love to get some of those magnet spice tins. They would free up some space in my kitchen! IHeart CSN! I need some stuff for the nursery we need! I would love some of Rachael Ray's Bubble & Brown line. I'm sure that is the missing ingredient in making me a better cook. I've never seen this site CSN before. I love it! I can't decide what I would pick if I win, maybe some cute baskets for my kids books! IHeart CSN! I would put it toward new side tables. I think I would like to buy something silly like a garden gnome or something :) Thanks so much for the chance! Happy February! Thanks for the giveaway! I'm digging that rug that you posted, but I think if I won I'd probably get some containers of some sort to help organize my kitchen. Thanks for the giveaway! IHeart CSN!! Hmmm...I am wanting to get our office more organized, so I would get some things to help me with that. I would love a new rug, lamps and containers for organizing. Love the give-a-way. IHeart CSN! I would live one of their gorgeous wall mirrors, like the Nickel Starburst mirror. I need one for my entryway. PS - I love your challenge this month. You have perfect timing! I have "organize digital photos" as one of my resolutions this year! I would indulge in some pretty baskets for my (ongoing) closet organization project! I am in the process of redoing my son's room, our master bedroom and refreshing the living and dining areas - a tad ambitious :) We are looking for a rug, new lighting and lots of storage options! I have no idea what I would indulge in, because my CSN wishlist is so long right now! IHeart CSN! I would love to get some of those tins for my spices! As well as toy bins and anything that would organize my desk area. Love CSN! 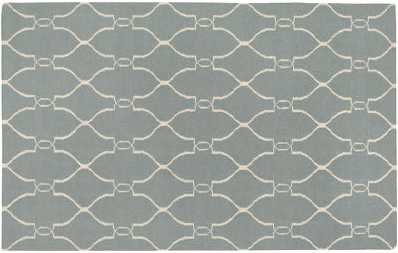 We are looking at area rugs and I loooove what I see! 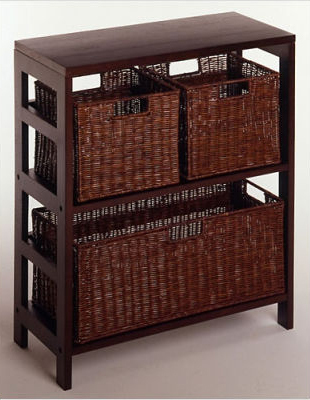 I would love to find some baskets and containers to organize my desk and closets! Baby on the way... so I still need everything for the nursery. I would definitely use it for organizational storage. I am always in need of another bin to store something in! iheart csn!! so many things i could buy there...i love that lasagna plan and the kids storage bins! I heart CSN! 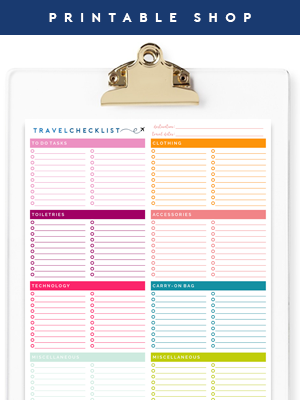 I would love some organizational goodies! IHeart CSN. I took a look around and think the Courtyard Floral Coffee / Sand Indoor / Outdoor Rug might work in my family room. IHEART CSN! :) I love those little spice holders. They're so great! I love the storage jars they have for the kitchen as well. IHeart CSN! I need all types of storage. I would love to have the spice holders you showed. But I would use it for my small scrapbook supplies! IHEART CSN! Looking for art to hang in my living room. IHeart CSN! I would pick some storage baskets for my girls room! They desperately need storage under their bed! I heart csn. I'd love to get a few new baskets for my cubby storage. I need new/more lighting in my living room in the worst way! hope i win! IHeart CSN...I would love some toy storage! IHeart CSN! I would go for a coffee table or two bedside lamps. There is so much to choose from. I would love the Lamont Lilly Anna Basket w Chalkboard to put our throw blankets in! 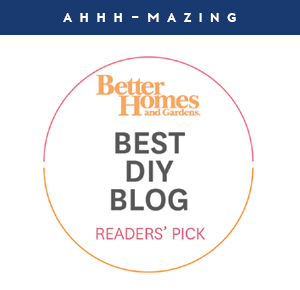 Oh - I've had my eye on a Dash and Albert rug for awhile - iheart CSN too! Iheart CSN........I would buy a duvet! I heart CSN- I would like the spice holders! I Heart CSN! I could use some pretty rugs! (Sorry if this is a duplicate). IHeart CSN! I'm looking for a rug, so I would indulge on a new one. IHeart CSN!!! I would love some storage bins for my seasonal clothes to go on top of my closet shelf or a cute lamp for my front entry table! Thanks for all your organizing tips, I love being inspired! IHEART CSN!! !What would I not want?? ?I would have to pick a rug for my new dining room set that arrived today!! You rock girl! i would likely get something small for the kitchen, i love colourfull and usefull kitchen items, or something to help organize my craft/woodcarving/sewing supplies. since i have an etsy shop/love to craft i have way to many that need better sorting. IHeart CSN!!! Major heart. I would buy that bedding I've had my eyeballs on for our master bedroom! i heart CSN! we need some nightstands for our bedroom! I would heart to win this giveaway, and I would also heart to get some organizing things from CSN!! But at the moment I can't decide what! I would get the Blomus Wires Tall Basket. It would be a pretty way to display my fruit. I hope I win. :) Thanks for the giveaway! Oh if I won, I'd get me a beautiful silver lamp for my newly redecorated living room...or something fun for the playroom! IHeart CSN! Spice tins would be great. IHeart CSN! I would love a new bath mat and accessories! I am so excited you introduced us! I can't even think of what I might get...I'm so overwhelmed! I see a cute apron...I really need a new trash can...and those spice tins! Oh my! IHeart CSN! We're moving soon so I'll reorganizing lots and I'm eyeing some of their cute little storage items! IHeart CSN! Wow! I've never been on their site before. I love the LaMont Dry Erase medium basket. That would awesome for the pantry!!! IHEARTCSN and those spice tins! IHeart CNS! I can't even choose what I would do. We are moving soon so I have all sorts of things I need! thank you for your blog. I had not heard of CSN stores before. I am sure I will spend tons of time looking through their wares. We have owned our house since 1997 but still haven't made it ours, I guess we really are staying and not moving LOL! I'm looking for lamps for our master bedroom... please, oh, please!! IHeart CSN! I think I would indulge in an area rug..they make a room cozy! New baskets for our toy room/ family room! Would probably by a new lamp for our living room with this!! IHeart CSN! While shopping with my husband today I told him we needed more baskets for toys...so if I won that's what I'd be going for. IHeart CSN!! I would probably get a rug...I have been wanting something pretty to put on my kitchen floor!!!! IHeart CSN!! My almost 3 year old is getting a "big boy" room for his birthday and could totally use some storage items! IHeart CSN! I would love to get a few cute laundry hampers to use instead of the ugly plastic baskets I currently have. IHeart CSN! What a great site. I would love to get a shower curtain for the boys bathroom or some new storage totes. I'm saving up to redecorate our living room so it looks less like furniture thrown together and more like a put together, adult room. I would love to get some fun pillows or a funky lamp. IHeart CSN! And I would also Heart anything that would help organize my kids' playroom! IHeart CSN. I would buy some new artwork to meet my February goal--make my walls less plain and ugly. iHeart CSN! I would love to get organization items for my daughter's room. I think I would have to get a new kitchen faucet...tho i can't decide which one! or maybe some fab mini pendants! I LOVE the Design House Stockholm - Carrie Shopping Basket by Marie-Louise Gustafsson in white! I would love to indulge in the Skip Hop Studio Diaper bag! IHeart CSN!! I would probably get their herb garden because its so stinkin cute!! IHeart CSN! I would love to purchase a new lamp. I've checked Hobby Lobby, Gordmans and Target to no avail in my area for one that makes me go WOW. The lamp we have now is chipped and I never really looved it. I'm going to also check the site to see if they have toaster covers. I'm about 2 weeks into your site. I can't wait to try out the paper project. I'm not a blogger--just a reader who loves those that do. IHeart CSN! NEED a new rug! IHeart CSN!! Wow, there sure is a lot to choose from here. I think I might like to continue replacing our luggage. 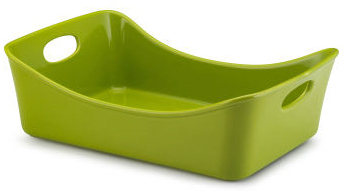 Those storage containers are calling my name..and so is that lime green baking dish! Would love a chance to win. I would love to have some new storage totes that are actually cute and stylish! I need lamps, for the bedroom and living room. IHeart CSN! Actually, I had not heard of them before this, but wow, lots of cool stuff! I think I would choose the Blomus Wires Tall Basket and the Wires Fruit Basket if I win. I can see lots of uses for those. IHeart CSN and would love the front bin in the toy picture. I couldn't find it online but that would be one of the items I'd want!! IHeart CSN! Just moved two boys into the same room, would love to pick up some decor! Cheers! IHEART CSN! I would definitely get my daughter a step stool. She has to wash her hands and she's currently doing an oblong dangle while I hold her. Gah! It would be fun to get something cute! IHeart CSN! Probably should get more storage baskets! I would purchase a clothes hanging rack because we are in desperate need of one for B! iHeartCSN and would probably use the credit for some storage bins! I <3 csn, I would get that fabulous lasagna pan!!!! Organizing stuff! ;) Pretty organizing stuff! I had never seen this site before...but I am IN LOVE now! My husband will regret this recent find I am sure. If I won....I need a lamp...but there are sooo many other great things..It would be a difficult (but oh so fun) choice! I Heart CSN! Thanks for the site. Not sure how I missed it up to this point. I am itching for some new kitchen storage! IHEART CSN! Some seriously awesome stuff!!! IHeart CSN! I'd definitely get some storage bins for my kids. All of ours are pink, but I just had twin boys, so we need some more neutral ones. IHeart CSN!! I would love to win and if I do, I'd like to put it toward a new rug. Or maybe a lamp, or maybe some storage... I don't know. IHeart CSN for sure!!! I need storage sooo bad. I'm getting ready to revamp my laundry room so I would love some containers to keep everything in its place!!! I would get some new throw pillows and some wall art. This is a cool store.